When you register, you’ll be required to choose a price package that best reflects your child’s desired programs and activities. The packages are labeled Platinum, Gold, Silver and Bronze, and are grouped according to the activities included in those packages. Please be sure you know what package you are choosing before you begin registering. NOTE: If choosing WILD or VENTURE SPECIALTY WEEKS, you’ll choose that program instead of a price package. You asked for it, we listened! Check out new activities, increased capacity in our most popular activities, mid-week care package, photo package, WILD ages, and Venture Specialty Weeks for 2019. You can take advantage of our interest-free payment plan option prior to April 12, 2019 by registering your child(ren) online, and then contacting our Guest Relations Team to opt-in. Your total camp fees will be divided by the number of months from the time the plan is requested until June 1, 2019, minus your $250 deposit. It’s easy to register for camp online! Simply pick the week you’d like your child(ren) to attend. As part of registration, you’ll customize each guest’s week-long activity schedule. After completing your online registration, you’ll receive an email confirming your week. We require an initial deposit of $250 for each week per child, which you can book with your VISA or MasterCard. Our online system is safe, secure and confidential. Final account payments are due April 12, 2019, unless a payment plan is arranged. After you’ve registered and paid your deposit, you can arrange an interest-free payment plan by calling our Guest Relations team at 416-495-6960 before April 12th. If registering after April 12th, full payment is required at the time of registration. 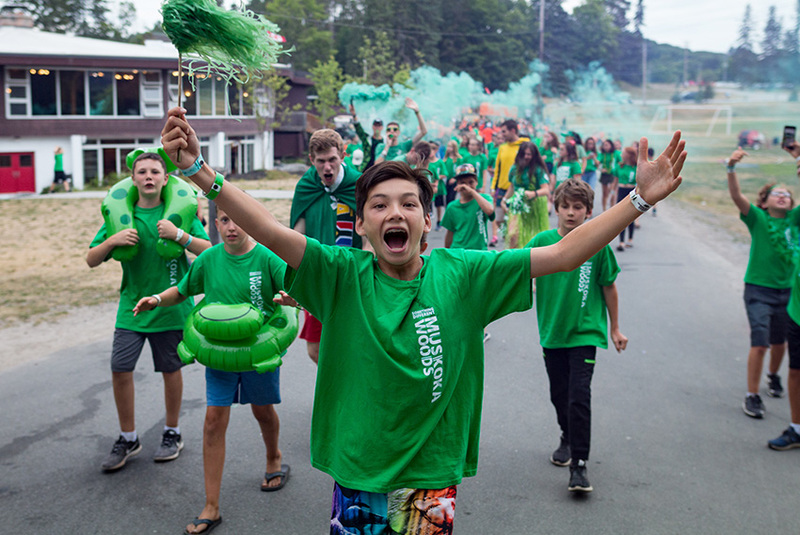 Final payment for Summer Camp fees are due in full April 12th, 2019. The $250 registration deposit made prior to April 12th is non-transferable and non-refundable at any time. 50% of the program fees are non-refundable for cancellations made on or after April 12th, up until 30 days prior to expected arrival date. 100% of the program fees, including taxes, are non-refundable for cancellations made within 30 days of the expected arrival date, unless a medical certificate accompanies the request. Modifications made to activity packages and cancellations of the day trips are non-refundable if they are made within 7 days of the event. Cancellation fees may apply for changes made to additional services and add-ons within 7 days of the expected arrival date. Please note that there is no adjustment in fees if a guest arrives late or leaves early. Substitution of another guest or transfer of a deposit paid will not be permitted under any circumstances. This policy includes cancellations as a result of other commitments and opportunities such as, but not limited to, sports tournaments, tryouts, travelling, summer school, etc. 100% of the transportation fees are non-refundable if the transportation service is cancelled within 7 days prior to the use of the service. All parents must read and agree to the Terms & Conditions prior to registering their child.